A rift among addiction-medicine providers about the role of medication-assisted recovery treatment may be hampering efforts to address the growing epidemic of addiction to heroin and prescription opioid painkillers. Many experts see the use of naloxone and other medications as the most effective way to mitigate the health risks and address the social stigma of drug addiction. But substance abuse treatment has traditionally been the realm of non-medical professionals whose expertise is often drawn from their own experiences with addiction. The divide may stand in the way of greater integration of addiction treatment into mainstream medicine, and the increased reimbursement that would come with it. The debate over medication-assisted treatment, or MAT, has heated up with the current opioid overdose epidemic. Prescription painkillers and heroin were responsible for 60% of the more than 47,000 overdose deaths in 2014. Medications introduced over the past decade such as buprenorphine and naloxone, along with the more well-known methadone, have been shown to be effective in reducing patients' risk for relapse and improving recovery outcomes. The lack of treatment options is one reason why addiction treatment has historically operated separately from the rest of healthcare in the U.S., according to Kimberly Johnson, director of the Center for Substance Abuse Treatment with HHS' Substance Abuse and Mental Health Services Administration. She sees the advent of medications like buprenorphine and naloxone as a way for primary-care physicians to become more involved in addiction recovery. 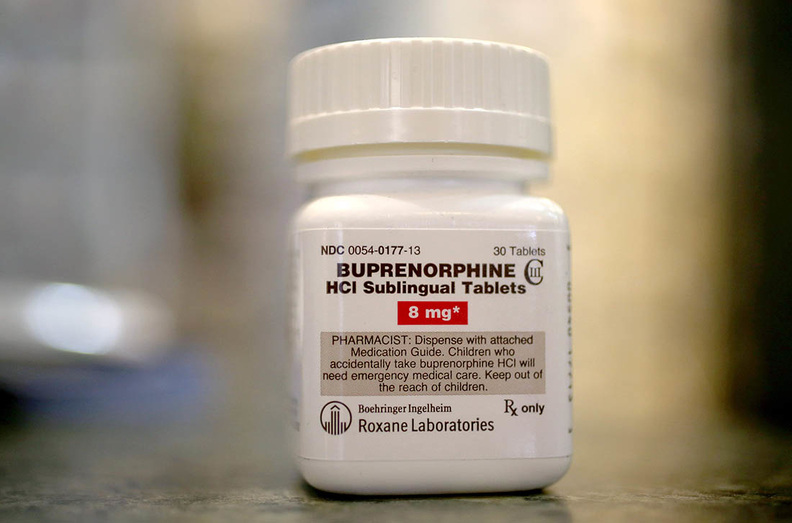 But a significant share of the nation's treatment centers opt not to use medications such as buprenorphine, which is an opiate that many use as a long-term therapy to replace pain pills or heroin but does not carry the same risks for overdose. The majority of addiction-treatment providers in the U.S. are still faith-and-abstinence-based programs like Alcoholics Anonymous and other 12-step models. “It's a very big problem that many of those programs are not stepping up to the plate in the context of our new opioid addiction epidemic,” said Dr. Andrew Kolodny, executive director of Physicians for Responsible Opioid Prescribing. As a result, there's limited access to maintenance-based therapies, even as demand for the medications is at record levels. Among the more than 5 million Americans estimated to have opioid dependence, fewer than 1 million are receiving treatment using these types of medications, according to a 2015 study from the Johns Hopkins Bloomberg School of Public Health. “I think, by having this debate, it causes questions in the medical field about whether or not the addiction profession is willing to consider new medications or new possibilities,” said Cynthia Moreno Tuohy, executive director for Naadac, the Association for Addiction Professionals, which represents more than more than 85,000 addiction-health professionals. Moreno Tuohy said she understands the hesitation to embrace medication-assisted treatment. Back in 2004, she herself advocated for abstinence-based treatment because she was concerned that it was simply substituting one drug for another. But after reviewing the evidence, she changed her mind. Medication-assisted treatment has become the standard of care touted by professional medical organizations such as the American Society of Addiction Medicine. Increasing access to it is a major component of the $1.1 billion President Barack Obama requested to combat the opioid epidemic as part of his proposed fiscal 2017 budget. The budget earmarks $920 million for states to expand access to drug-assisted treatment. Kolodny said addiction recovery programs that continue to opt out of incorporating medication as a part of their treatment plans could find themselves missing out on a significant financial resource. “I think the states and the providers who don't move in that direction will be left out of a very important funding stream,” Kolodny said.